Available Only as Part of “The Vincent Price Collection II"
One of the better-known entries in the Vincent Price canon, 1959’s House on Haunted Hill places its characters in a potentially deadly situation. Wealthy Frederick Loren (Price) and his wife Annabelle (Carol Ohmart) decide to throw a party in a supposed haunted house. This bash comes with a twist beyond its creepy setting. Loren recruits five guests with the promise of a $10,000 prize – if they survive the night. We follow their adventures and see which partygoers – if any – make it through the evening and collect the money. Producer/director William Castle seems to be remembered mostly for the gimmicks he used in his films. In the case of House, theatrical screenings came with a technique called “Emergo”. At certain points in the film, a fake skeleton would fly over the audience. Maybe when holographic video becomes a commercial endeavor, a home release of House can replicate that cheesy gimmick, but until then, the movie will need to stand on its own. 55 years after its initial release, does House entertain? Not really. Perhaps its greatest legacy stems from a film it inspired, as the immense profits earned by the low-budget House apparently inspired Alfred Hitchcock to create his own cheap thriller. This resulted in 1960’s Psycho, arguably the genre’s finest entry. While I appreciate that legacy, House doesn’t compare favorably with Psycho. Unlike Hitchcock’s classic, the Castle film seems campy, silly and largely lacking in tension. Really, it often feels like little happens in House. The movie takes an awfully long time to bother to indulge in its formal premise of the partygoers trapped in a building for the night; the 75-minute film gets past the 30-minute mark before the guests need to commit. This means a slow build without much behind it. House doesn’t do much to develop the characters, and exposition remains nil; we get basic notions for the roles but not more than that. This makes this opening 30 minutes or so fairly tedious, as those elements just stretch the story without much purpose. Once the guests find themselves formally trapped, matters don’t improve. The only potential tension here comes from the nature of the events: is the house really haunted or are the actions staged? To avoid spoilers, I won’t reveal the truth, but I will say this: who cares? The movie plays out in such a way that the ultimate resolution doesn’t matter because the viewer loses interest along the way. For a really short movie, House sure drags. It comes with an awful lot of build-up before it gets to the meat of the story; the flick nears its midway point before the “contest” actually starts. If House used that time well, I wouldn’t mind. Instead, it simply pads the running time with little useful material. The characters bicker a lot but don’t seem to do much, and that doesn’t change even after the action supposedly heats up. The running time fails to bring us much in the way of depth or exposition, and the “scares” lack any bite. Those factors become the major drawbacks to House. If a horror movie lacks fright, what purpose does it serve? The tale moves slowly and never brings us any real tension or drama. Perhaps in more talented hands, House could’ve become a winning scare-fest, but Castle seems more concerned with cheap shocks than anything else. That leaves this as a campy, silly dud. House on Haunted Hill appears in an aspect ratio of approximately 1.78:1 on this Blu-ray Disc. The movie came with a watchable but erratic transfer. For the most part, sharpness looked fine. Some soft shots occurred, and these could be a distraction, but the majority of the flick delivered positive accuracy. I noticed no issues with shimmering or jaggies, and edge haloes failed to mar the proceedings. With natural grain, I didn’t suspect digital noise reduction usage here, but print flaws became a problem. Throughout the film, I saw a mix of specks, blotches, lines and marks. These weren’t heavy but more than a few shots displayed these concerns. The black and white tones appeared positive. Blacks seemed dark and deep, and shadows demonstrated nice clarity. The image boasted solid contrast, with just a few shots that looked a little off. Given the movie’s age, I thought the image was acceptable but it could’ve looked better. Though the movie claimed to boast a DTS-HD MA Stereo 2.0 soundtrack, it sounded monaural to me. If any usage of the side speakers occurred, I didn’t detect it; the mix came across as centered at all times. Audio quality was adequate for its age but no better. Speech tended to be somewhat brittle and sibilant, but the lines remained intelligible enough. Music also showed some shrill qualities, and effects seemed slightly rough. This seemed like an average track given its era. When we shift to extras, we begin with an audio commentary from film historian Steve Haberman. He offers a running, screen-specific look at cast and crew, the film’s origins and development, its release and reception, and a few production areas. Don’t expect to learn a ton about the creation of House itself, as Haberman prefers to focus on biographies of various participants. This works fine to a degree, but I can’t help but feel like we don’t get as much material about the production as we should. Add to that more than a few dead spots and this becomes a sporadically informative but somewhat frustrating chat. A mix of video pieces follow. 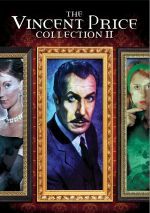 Vincent Price: Renaissance Man goes for 27 minutes, 20 seconds and provides comments from Vincent Price Exhibit curator Richard Squires, screenwriter Chris Wicking, author/editor Stephen Jones and novelist/film critic Kim Newman. They offer an overview of Price’s life and career. The piece doesn’t get into Price’s specific films all that well but it offers an interesting and enjoyable summary. Next comes the 12-minute, 13-second The Art of Fear. It includes notes from Haberman, Fangoria Magazine editor Tony Timpone, film historian David Del Valle, director/writer Donald F. Glut and actor Brett Halsey. “Fear” examines horror films, with an emphasis on some of those that starred Price. While the show seems somewhat scattershot and unfocused, it gives us enough useful observations to merit a look. Working with Vincent Price runs 15 minutes, 26 seconds and gives us comments from Wicking, Squires, Newman and Jones. In this featurette, we learn about some of Price’s co-stars. Once again, we get some decent thoughts, though I must admit I’d like something better oriented toward House on Haunted Hill; “Working” and the disc’s other programs tell us next to nothing about that film. Finally, Introductory Price fills 13 minutes, 16 seconds with details from former Iowa Public Television executive producer Duane Huey and Salisbury House and Gardens executive director J. Eric Smith. In the early 1980s, Price taped introductions to a bunch of his movies to precede their airing on Iowa Public TV; “Introductory” tells us how this happened. It’s a small slice of Price’s life but it’s fun to learn about how all this occurred. In addition to the theatrical trailer for House, we find a Vincent Price Trailer Gallery. It features promos for House of Wax, The Conqueror Worm, The Abominable Dr. Phibes, House of Usher, Pit and the Pendulum, The Tingler, The Fly and The Haunted Palace. A Still Gallery completes the set. It provides 23 images that mix advertisements and publicity stills. It’s short but satisfying. At its core, House on Haunted Hill shows promise, but the final result doesn’t work. The movie seems cheesy and overwrought as it brings us a slow-paced, dull affair with little to offer beyond cheap attempts at scares that don’t arrive. The Blu-ray brings us decent picture and audio as well as an erratic but generally interesting batch of bonus materials. Neither the film nor the Blu-ray do much to impress. 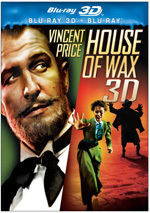 Note that this version of House on Haunted Hill comes only as part of the four-disc “Vincent Price Collection II”. That set also includes Return of the Fly, The Comedy of Terrors, The Raven, The Last Man on Earth, The Tomb of Ligeia and Dr. Phibes Rises Again.